R.I.P. 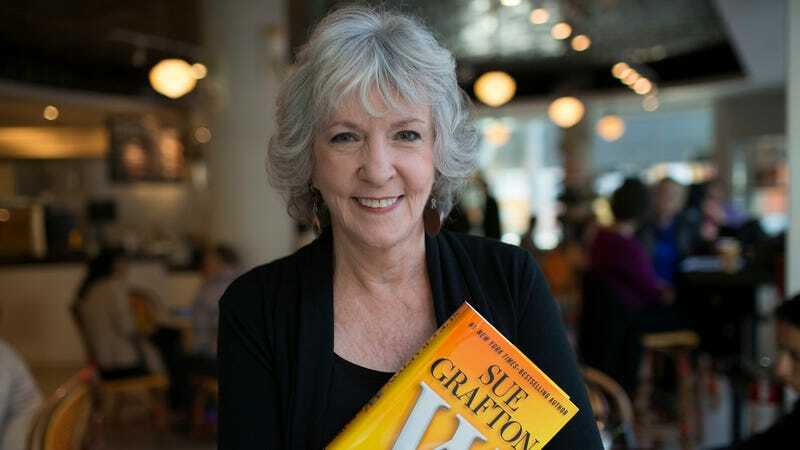 Sue Grafton, mystery novelist and author of the "Alphabet Series"
Sue Grafton, the bestselling writer behind the “Alphabet Series” of mystery novels, each named after a letter of the alphabet and featuring private investigator Kinsey Millhone, has died. Grafton’s daughter posted the news of her death earlier today on Facebook, saying that Grafton had died “after a two year battle with cancer” and that “as far as we in the family are concerned, the alphabet now ends at Y.” (Grafton’s last book, “Y” Is For Yesterday, was published in August.) She was 77. [S]he’s been married to Steve Humphrey for more than thirty-five years and has three children, four granddaughters, and one great grandson. She loves cats, gardens, and good cuisine—not quite the nature-hating, fast-food loving Millhone. So: readers and reviewers beware. Never assume the author is the character in the book. Sue ... is only in her imagination Kinsey Millhone—but what a splendid imagination it is.